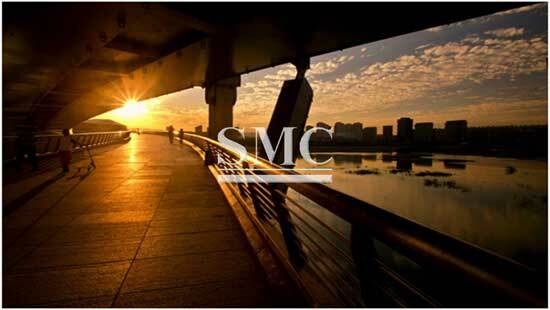 SMC always uses high-quality structure steel that is readily available worldwide in certified grades, in products of various shapes and sizes. 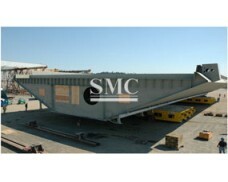 Prefabrication of steel work in controlled factory conditions leads to high quality work at minimum cost. The excellent quality control is achieved through a thorough testing regimine at the steel mills and during the fabrication processes of cutting and drilling, assembly, welding, and protective treatment. The quality assurance that is attained should give confidence to all clients and engineers who specify steel for their bridge project. 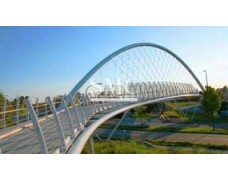 Our design team is comprised of professional design engineers with master’s or bachelor degrees. 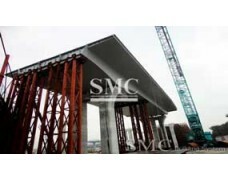 Using software SFCAD, 3D3S, PKPM, PS2000, AUTOCAD, they are able to ensure the quality of the designs of our structures. 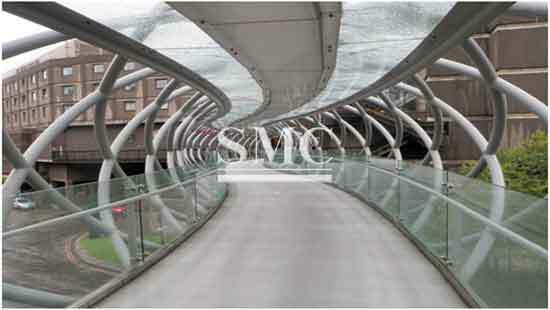 We also have already established strategic relationships with many universities, construction design institutes, etc. which enable the company to have high capability of designing and consulting in the professional field. We are exceptional at designing in accordance to design codes of ASTM, BS, DIN, JIS, and GB to satisfy different customers’ requirements. Space frame structures are strong because of the inherent rigidity of the triangle flexing loads (bending moments) are transmitted as tension and compression loads along the length of each strut. 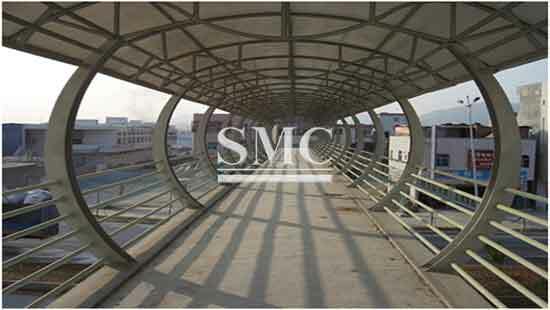 Space frame structures are suitable to be used span large areas with few interior supports such as stadium, coal storage, cement storage, etc. We have now completed more than 200 overseas projects which quality is satisfied with all customers.